Pericardioscopy and epi- and pericardial biopsy - a new window to the heart improving etiological diagnoses and permitting targeted intrapericardial therapy. Maisch B, Rupp H, Ristic A, Pankuweit S. Heart Fail Rev. 2013;18:317-28. Pericardial access can be associated with life-threatening tamponade - the classical needle approach needs to be updated! Small or no effusion: beware of high tamponade risk! i.e. "a needle with inbuilt safety"
Inflammatory heart disease, i.e. carditis, remains an ill-defined disorder caused by viral or bacterial infection and autoimmune processes. Often pericardial effusion ("fluid around the heart") occurs. When pericardial effusion has to be removed and drugs have to be instilled into the pericardial space, the pericardium must be punctured without injuring the underlying heart muscle. 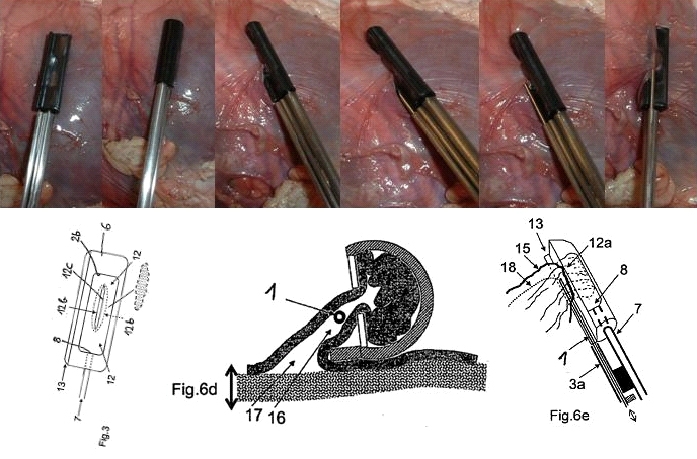 Extensive experience has been accumulated with the conventional access to the pericardial sac using a blunt Tuohy needle. This requires, however, a large pericardial effusion which clearly separates the heart muscle from the pericardium and thus reduces the risk of puncturing the myocardium leading to life threatening cardiac tamponade or haemopericardium (bleeding from the punctured ventricle into the pericardial sac, the distended pericardial sac prevents adequate filling of the heart leading to severely depressed pump function, shock and death). Many cardiologists are fearful of using the conventional technique unless severe pericardial effusion and thus also tamponade (originating e.g. from pericardial inflammation or cancer) is present, a situation in which the volume of the effusion is at least 500 ml. The key technology is now available for accessing the pericardial space in a minimal invasive approach. The PeriAttacher provides a solution to the critical step of tissue puncturing by monitoring tissue attachment before the puncturing step. The AttachLifter permits also puncturing of thickened pericardium. No competing device available that works for thickened pericardium. Pioneering technology with prospects of future intrapericardial therapy interventions. 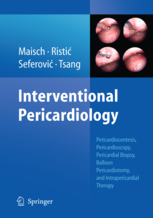 It is timely to invest and strengthen this line of minimal invasive access to the pericardial sac (in-licencing opportunity). Being in the pericardial space, various mostly unexplored therapeutic targets become possible. A particularly important one is the implantation of epicardial leads for resynchronization therapy (CRT) and epicardial ablation for rhythm management. For the required intrapericardial navigation, we developed the AttachGuider which represents a novel type of endoscope which permits navigation in a hollow body without near deflecting walls, as in the pericardial space. The potential applications of our devices for epicardial lead implantation and epicardial ablation are described in detail in http://www.cardiorepair.com/attacher. Please read this important disclaimer!